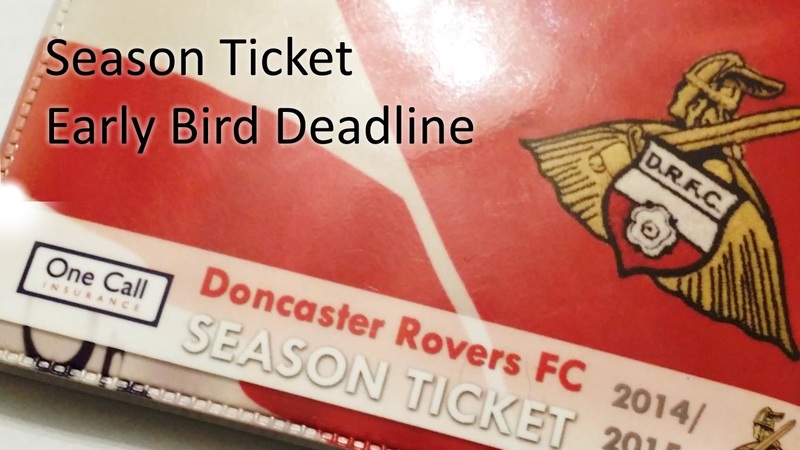 Season Ticket holders are reminded that they have until Tuesday 31st March to secure their 2015/16 Season Ticket at the "early bird" prices, and at the same time can snap up an additional Season Ticket for the Doncaster Rovers Belles new season for just a fiver! Should you wish to have your season ticket renewed in the simplest way, call on 01302 762576 and select option 1. The Ticket Office staff will be delighted to assist with any queries, such as moving seats, checking availability or finding a group of seats together for you and your friends, and will be able to process this over the telephone for you. The early bird pricing offers generous savings over the full price, so grab your new Season Ticket from just £299 for adults and £30 for junior supporters and take advantage of this offer before it runs out. Any supporter renewing their season ticket during the early bird period can also pick up a Belles Season Ticket for the bargain price of £5. The Belles kicked of their FA Women's Super League 2 season in fine style last week with an excellent 3-0 home victory over Durham, and a £5 Belles Season Ticket will get you a seat at all of the girls' remaining 11 home matches!